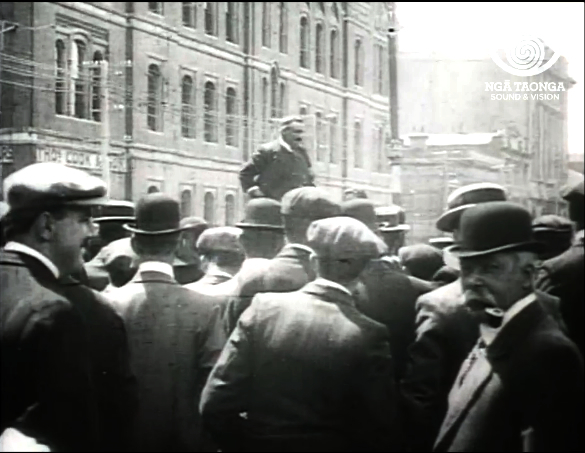 This silent clip, which shows Labour candidate David McLaren addressing electors in Post Office Square, Wellington, during the 1911 campaign, is probably the earliest moving image of a New Zealand election campaign. McLaren had been elected Member of Parliament for Wellington East in 1908, but he was defeated at the following election. He later served as the city's mayor. Reference F862. Video extract, Wellington. 'The elections'. A dash of politics at lunch, 1911. .